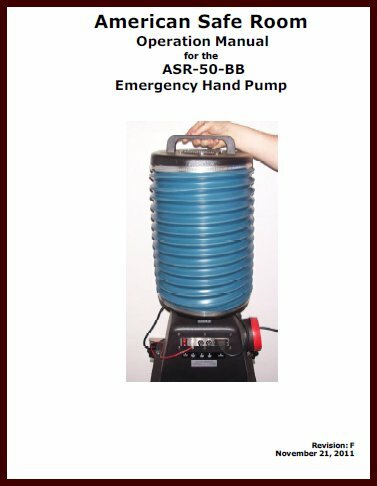 This emergency backup hand pump slip-fits instantly into the top of the Safe Cell and is operated by pumping it up and down. 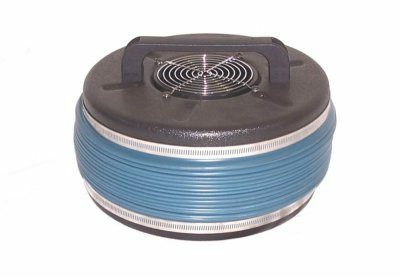 It is used to draw filtered air into a protected space during a long term power outage. 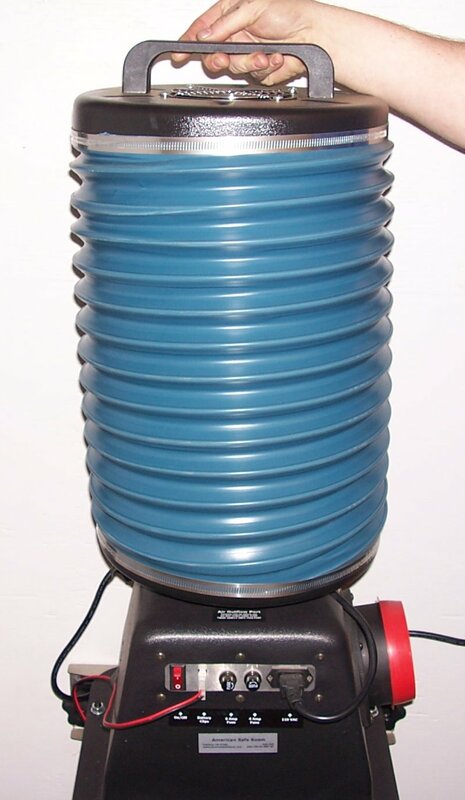 A typical shelter occupant cannot physically maintain an overpressure with this device, but you can draw in air through the filter bank and into your shelter, displacing the carbon dioxide that is exhaled by the occupants ~and~ you still have safe, breathable air being filtered for NBC toxins. It has an output of 1,216 cubic inches (19,928 cubic centimeters) per each 10.34-inch (27 centimeter) stroke.